Improvements in the latest edition increase the speed and comfort of texturing. Improved Baking Speed - There is a significant improvement of the baking speed in the latest edition of Substance Painter. Now you can bake up to 5 times faster, especially with heavy meshes. Improved Save System - the save system was rewritten. Now you can either create fast iterative saves (larger files) or slower but more compact saves. Updated Sliders - now you can control sliders with the keyboard arrows. All sliders now have a "precision" mode activated when pressing the Shift key. Grayscale and Color sliders have also been modified to be more readable. 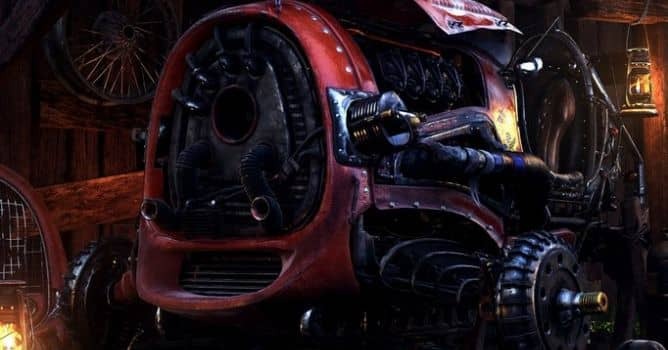 Updated Plugin API - Plugins shipped with Substance Painter now use the new UI style and custom plugin creators can now take full advantage of the new Substance Painter widgets. Improved Padding now Optional - With the 2018 Spring update we got a new 3D Space Neighbor padding, that greatly helps when you want to hand-paint details across seams. But this method may sometimes cause unwanted padding where ID and polygon masking is important. Now you can select which padding to use on a per-Texture Set basis: UV Space Neighbor padding or 3D Space Neighbor padding. Read more on Allegorithmic site.